Effective strength training is extremely important – whether you’re trying to build muscle, lose weight, or just be stronger in your daily life. 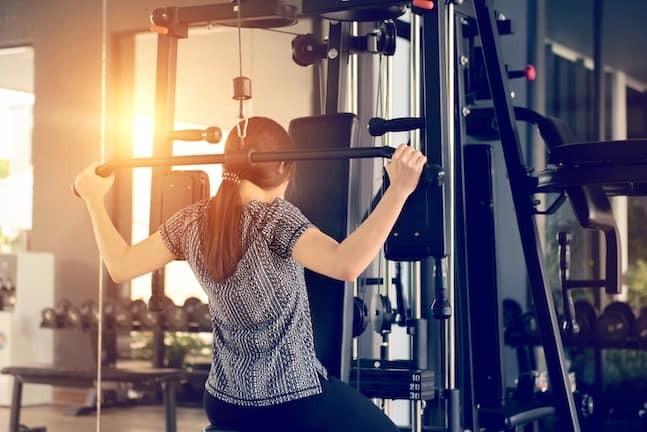 The American College of Sports Medicine advocates building muscular strength through resistance exercise (e.g., lifting weights) as an essential component of the physical activity needed for your overall health and fitness. They’re versatile: A single machine can provide a full-body workout. They’re effective: Cable weight systems (or similar) are good at isolating and working various muscle groups, which can build muscle and strength quickly. They’re space efficient: Depending on which model you purchase, they take up relatively little room. That’s where we come in. In this article we’ll take a look at the 6 best home gyms in production. We break them down into best beginner home gym, best mid-range home gym, and best overall home gym; recommending the top 2 in each category. Home gyms are very practical for people starting out on their strength-training (or general health and fitness) journey. This author began his own journey with a basic home gym. He kept and used that machine for almost 15 years, and the value it added to his workouts, and ultimately his whole life, cannot be overstated. Home gyms are quick and easy to use, and extremely effective at building and strengthening muscles. And, if you’re just starting out, then you really don’t need anything fancy, or expensive. Beginners need a good quality piece of equipment that provides a large but not excessive range of exercises. We think the recommendations below fit the bill nicely. 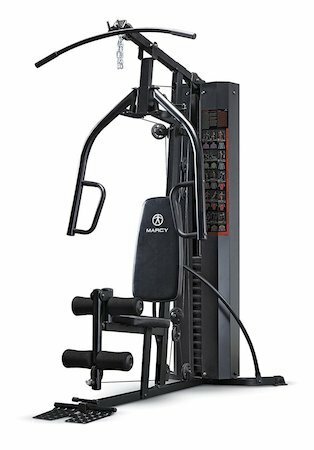 This compact home gym from Marcy is a really solid beginner machine. It offers all the standard exercises you’d expect to find on a mutli-gym, including the chest press and flyes, lat pull downs, leg extensions, and seated rows. It has a very small footprint for a home gym (68″ long x 36″ wide x 81.5″ high), which makes it perfect if you’re short on space (e.g., workout in an apartment, small bedroom, attic, etc.). 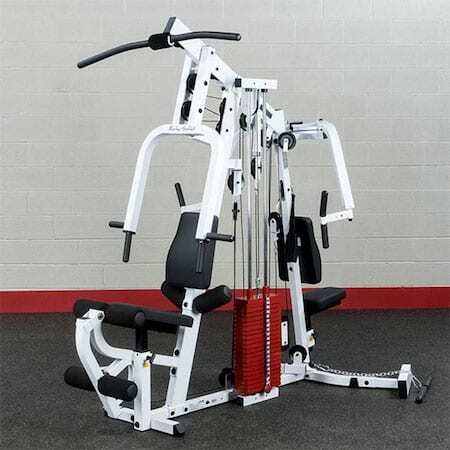 On top of all that, it’s considerably cheaper than many other comparable home gyms. 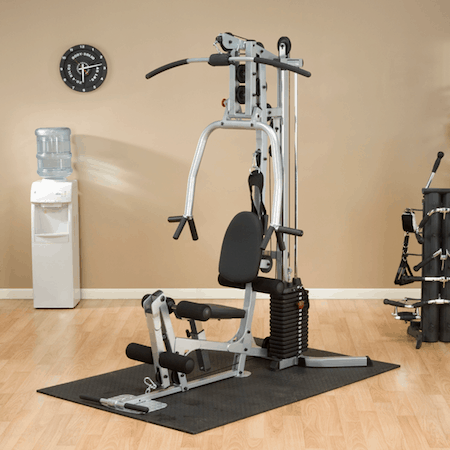 As with most of Marcy’s home exercise equipment, the 150 lb Stack Home Gym (MWM 6150) is functional and well-made. Realistically, you’ll outgrow this machine before you need to replace it. The frame is 14-gauge steel tubing, which is more than thick enough to hold up against long-term daily use. The cables have a tensile strength of 2000 lb, so there’s nothing to be concerned about there. The weight stack, however, is somewhat unique. The 150 lb. 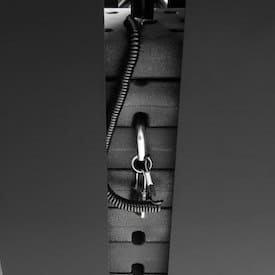 stack is encased in a metallic shroud that is intended to protect you and the weights from each other. Personally, we don’t think it adds a huge amount to this home gym, but it does actually make it look pretty badass. Moreover, the weight plates themselves are covered in a vinyl coating, which reduces the noise of them slamming down on each other (and makes this home gym very suitable for those living in an apartment block). That said, only time will tell whether this vinyl coating can withstand the repeated slamming that home gym weight stacks are inevitably subjected to. Finally, it comes with a two year limited manufacturer warranty, and a nifty stick-on placard that outlines a range of basic exercises that’ll provide a full body, strength building workout. The Marcy 150 lb. Stack Home Gym is a good-quality machine at a very reasonable price point, and a deserving #1 in our beginner home gym recommendations. 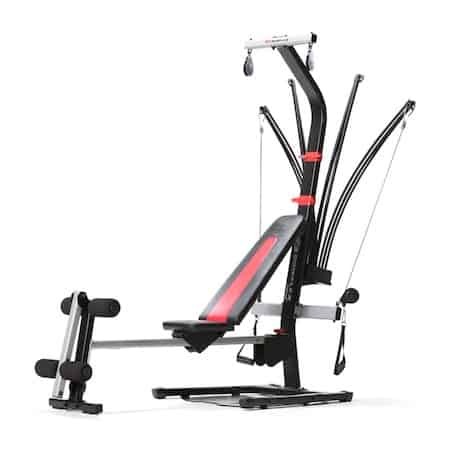 We’ve previously done a detailed review of the Bowflex PR1000 Home Gym, which you can view here. In that review we called it ‘the beginner’s home gym’ and we stand by the moniker here. 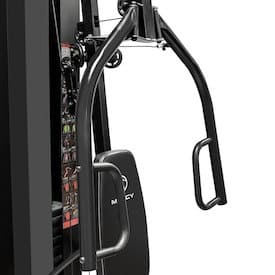 It has a much larger footprint, and is more complicated than the Marcy home gym above, but it’s still a very good piece of equipment for anyone starting out his or her strength-training journey. 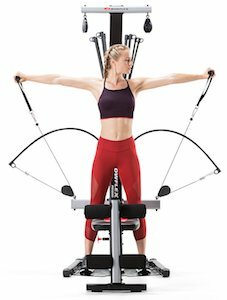 Bowflex home gyms differ from traditional home gyms in that they use flexible polymer rods to create resistance instead of weight stacks. This makes them feel slightly unusual when initially using them, as there’s no inertia to the resistance they produce. That is, you can move quickly through your full range of movement, and greater resistance is produced at the end of each repetition of an exercise. Traditional weight stacks, in comparison, provide greater resistance at the beginning of each repetition, as you must put in the most work to overcome gravity’s inertia. Neither system is necessarily better or worse than the other; they are simply different. That said, the rod system makes for a smoother, and considerably quieter workout, as there is no clanging of weight plates. 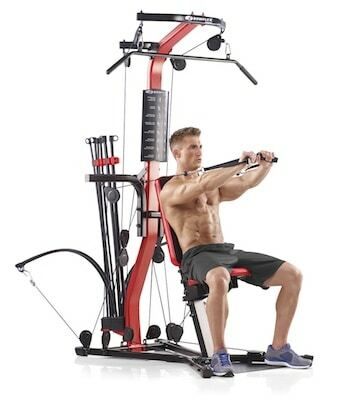 Compared to the Marcy machine above, the Bowflex PR1000 is a more versatile home gym. The range of exercises you can do on it is extensive. It has an adjustable and sliding bench, and handles in place of a press arm and lat bar that can be attached at both high and low points. This allows you to do more variations on exercises like the chest press, which produces more well-rounded muscle development. On the other hand, what you get in versatility, you sacrifice in space and simplicity. The Bowflex PR1000 takes up a considerable amount of room (103″ long x 80″ wide x 82″ high, so if you’re setting up in a confined space, things are going to get crowded pretty quickly. Also, it can be a complicated machine. You have to switch the handles between high and low positions, adjust the bench position, remove the backing to use the sliding mechanism, and more to utilize it fully. Compared to the Marcy home gym, it can feel like a bit of hassle at times. If you’re happy to manage the added complexity and greater space requirements, then there’s very little else to complain about with this Bowflex home gym. It has good quality and functional components, and a strong and sturdy steel frame. 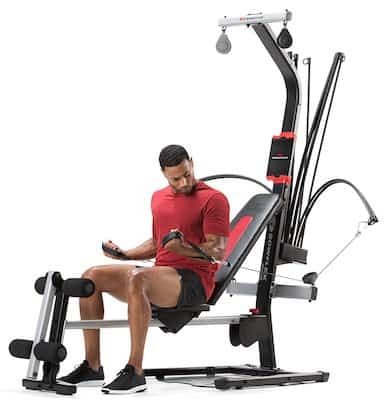 The sliding mechanism works well, and is simple to adjust and operate, and it allows you to do leg presses, which is uncommon on home gyms without having to purchase a separate attachment. Plus, although it may look complex, it’s actually relatively straightforward to assemble. It’s pricier than the Marcy, but you’re paying for more machine. All in all it’s a great home gym for beginners and anyone returning to exercise that are looking to build some starting strength. Are you looking for something a bit more advanced than an entry-level home gym? Perhaps you know you want a good quality, versatile machine, but are not willing (or able) to fork out the really big bucks to get it. Well then, one of the mid-range recommendations below should be right up your alley. 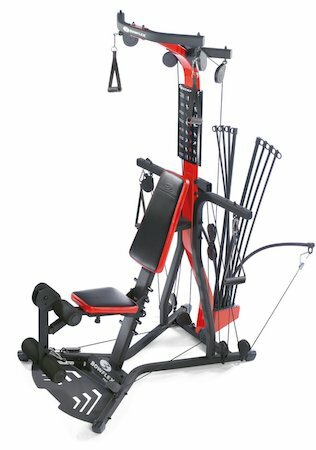 The Bowflex PR3000 Home Gym could be described the older, stronger, and more efficient brother of the PR1000. 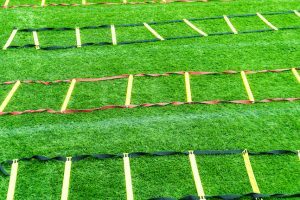 It offers a greater range of exercises, the ability to upgrade the resistance level, and has a significantly smaller footprint (64″ long x 41″ wide x 83″ high). Yes, it’s more expensive than the PR1000 (usually in the vicinity of $200 more), but it’s a better machine. The construction, like most Bowflex products, is better than average and although it takes a bit of time to assemble (approx. 3 hours going steadily and carefully) it isn’t at all difficult. Just follow the nice and clear instructions and it should be all good. 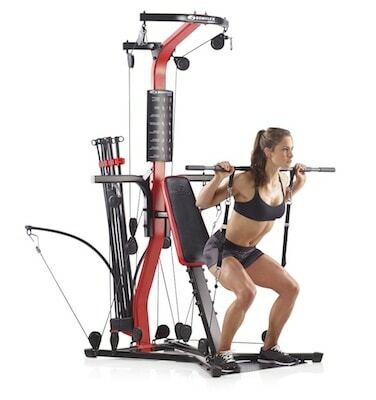 As with all Bowflex home gyms, it utilizes the flexible polymer “Power Rods” to create the resistance. Out of the box it comes with 210 lbs of resistance, but unlike the PR1000, this can be upgraded to 310 lbs, either by buying as a package deal, or getting the Power Rod upgrade separately. 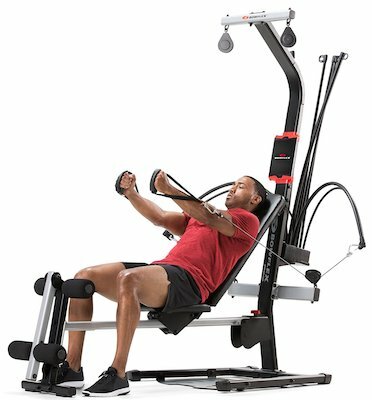 As mentioned above, one of the great things about the PR1000 is the ability to do leg presses using the sliding rail and seat. 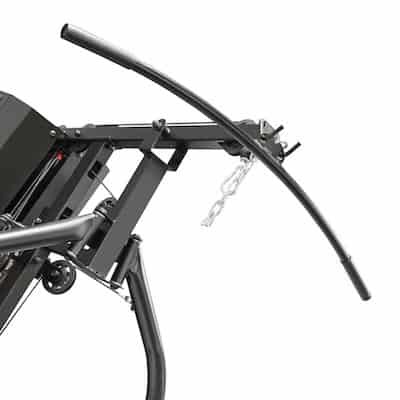 The PR3000 doesn’t include this feature (which is what makes its footprint smaller), however it does come with an attachment that allows you to do squats, which are even better than leg extensions (squats are often described as “the king of exercises”). Another advantage the PR3000 has over the PR1000 is the “no-change cable system”, which is just a fancy way of saying that it has 2 sets of grips (aka handles) instead of one. 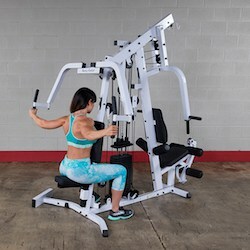 This allows you to move between the lat pulldown grips and the bench press grips without having to disconnect or change anything over. It may seem insignificant, but repeatedly switching grips from high to low and back again gets tiresome. The Bowflex PR3000 Home Gym is undeniably the best mid-range home gym out there, and is one of Bowflex’s all-time most popular products. It’s very well-built and has a smooth operation. If you’re willing to pay that bit extra, we’re confident you won’t be disappointed. We’ll keep our discussion of the Powerline Home Gym fairly brief as we’ve done a more in-depth review here. We will, however, start by saying that just like the Bowflex PR3000 above, this home gym from Body-Solid is a very good option if you’re confined by space. The footprint is only 70″ long x 42″ wide x 80″ high, making it a nice and compact machine. The Powerline Home Gym also has some nifty features that most other home gyms don’t. For example, the press arms are extremely versatile and can be adjusted to allow you to do inclined bench presses, seated rows, and both standing and seated shoulder presses. These additional exercises are vital for ensuring you get well-rounded muscle development in your chest, back and shoulders. Another unique feature worth noting is that it comes partially assembled. Body-Solid says you only have to “fasten 9 bolts”, which is a claim you shouldn’t be fooled by. You will have to do more than that, but admittedly not much more. 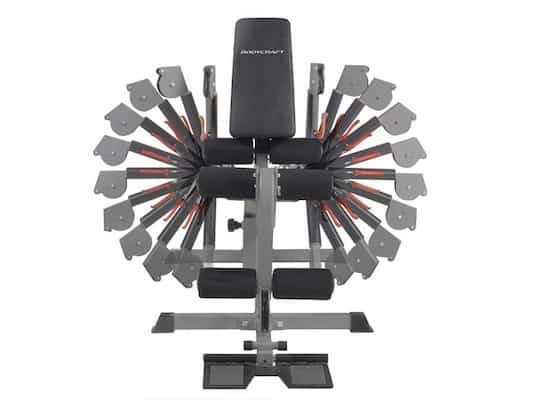 Compared to other machines, especially the Bowflex home gyms, the Powerline is very quick and painless to assemble; it should only take about an hour. Ultimately, it’s a good quality mid-range home gym that’ll let you do relatively unique workouts in a small space. It usually comes in at around the $800 price point, which we think will be a pretty solid investment long-term. Now we’re into the big guns. The following home gyms are for those who want a serious machine, to do some serious strength training. 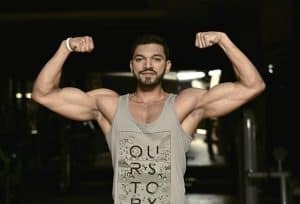 The following recommendations take up more space and are more expensive than the beginner and mid-range options, but they will provide you with very versatile and very effective full-body, muscle-building workouts. This home gym is just an all-round impressive piece of equipment. If you’ve owned home gyms before, we’re almost certain that none of them will have matched the standard of quality that the Bodycraft Xpress Pro sets (unless, of course, you’ve previously owned this exact home gym, in which case it’ll be a tie). It’s an extremely well designed and constructed machine. The materials are as good or better than comparable home gyms, and are backed by a lifetime warranty. This isn’t an empty promise from Bodycraft either. They acknowledge that exercise equipment doesn’t last forever, no matter how good the quality is. So when parts such as the nylon cables wear out after a number of years, as they invariably will, just shoot Bodycraft an email or give them a call and they’ll quickly ship you the replacements for free. Warranty aside, the clever design of this home gym means that the number of exercises you can do is almost endless, and only limited by your imagination. This is mainly on account of the adjustable cable arms, which can be moved into 11 different positions to allow for an array of exercises, including sport-specific movements that you can use to improve your tennis or golf swing (amongst others). 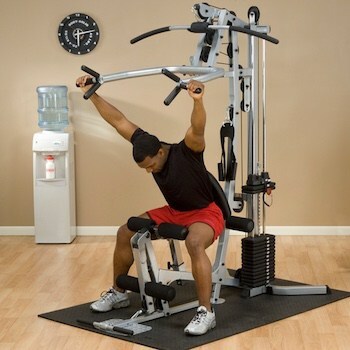 Similar to the Powerline Home Gym, the press arms can be adjusted for regular horizontal bench presses, inclined presses, shoulder presses, and reversed to allow seated rows. Moreover, the press arms have a “double-up feature”, which means the 200 lb. weight stack can be used with a 1:2 ratio, taking the resistance to 400 lbs. That’s massive, and simply unrivalled amongst home gyms. 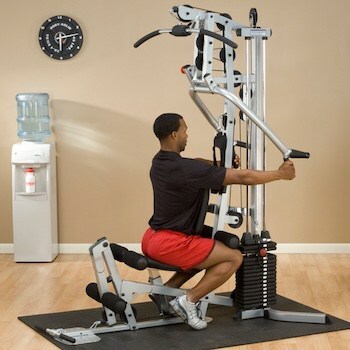 You can also get a leg press attachment together with the main home gym or as a separate piece later on. Together, this will weigh in excess of 550 lbs, so do your floors a favor and get some protective heavy-duty gym flooring to place beneath it. Now, we wouldn’t be doing our jobs if we didn’t mention the biggest, most glaring drawback of the Xpress Pro: Assembling the damn thing. It comes completely in pieces, and needs to be put together piece-by-piece, bolt-by-bolt. 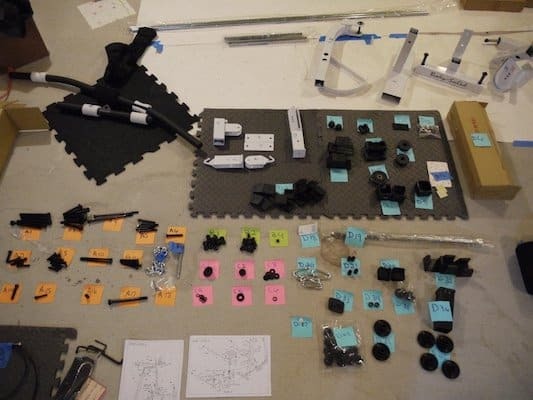 Although the components and hardware are well packaged and clearly labeled, and the instructions are easy to follow, assembling this beast is still a massive and time-consuming job. Set aside an entire day, and enlist the help of a friend or family member. If you have the cash, consider getting it professionally assembled. Once it’s together, though, we’re certain you’ll be absolutely stoked. 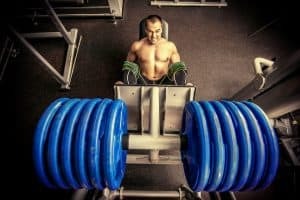 If your goal is to build muscle and strength, and you aren’t really fussed about the method, then this is likely the only piece of equipment you’ll ever need to purchase. 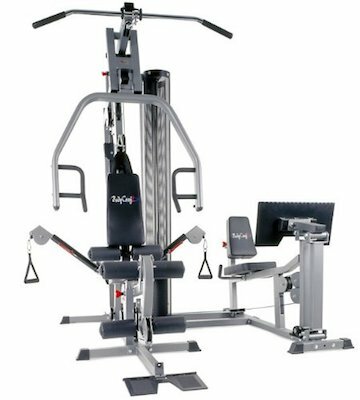 The Bodycraft Xpress Pro Home Gym sets a standard that most others simply can’t match. 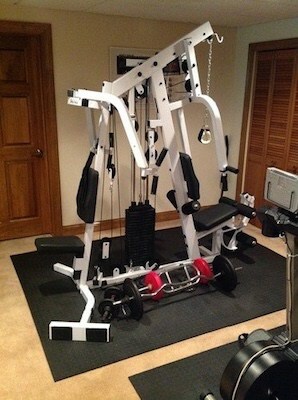 You can read about this home gym in-depth by going to our detailed review here. As we emphatically state in the detailed review, this home gym is a real beast. It’s a very solid piece of equipment, and it’ll ensure you get a smooth, quiet, good quality, full-body strength workout. The components are top quality, and once assembled properly, they make this thing a real joy to workout on. That said, it’s also a very large multi gym, with a footprint measuring 83″ long x 53″ wide x 83″ high. There’s no question that it’ll be the centerpiece of your home gym. 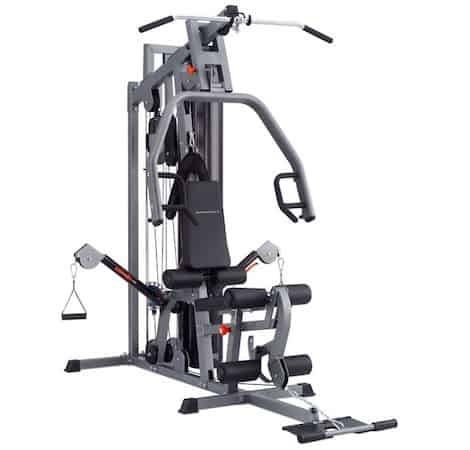 The StrengthTech EXM2500s uses a two station design: One side has a pec dec station, and the other side has the bench press, lat pull down and leg developer. 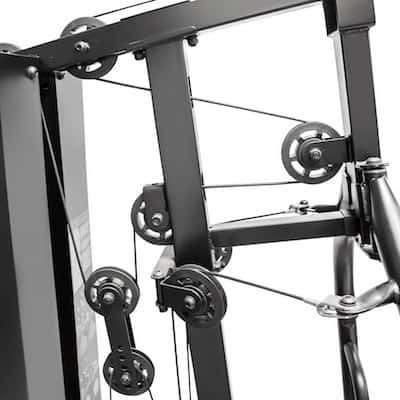 Therefore, unlike the Bodycraft Xpress Pro, this home gym can’t be backed up against a wall. Conversely, the two station design makes it feel less cluttered, and reduces the amount of play in the cables that various exercises produce. Just like the Xpress Pro, the StrengthTech EXM2500s needs to be assembled from scratch, and it can take quite a while to complete. Again, section off a full day just to be on the safe side. Also like the Xpress Pro, it comes with a lifetime warranty, meaning it’ll likely be the only cable weight machine you’ll ever need to buy. All-in-all the Body-Solid StrengthTech EXM2500s Home Gym is cleverly designed and built like and absolute tank. If you decide to drop the money on it, you’ll have made a sound investment in your strength, and overall health and fitness. Well, there you have it: The 6 best home gyms for your home gym! Whether you’re a beginner looking to get into strength training, or simply looking for a great quality home gym that you can use without concern for years to come, one of the recommendations above will be suitable for you. If you found this article useful, why not share with your friends and family on social media? If you have any questions or comments, please share them below as we’d love to hear from you. As always, best of luck with your home workouts. Remember: When it comes to our health and fitness, we can either make the effort or we can make excuses, but we can’t make both.